Under the Native Title Act 1993 (Cth), the Federal Court of Australia is responsible for the management and determination of all applications relating to native title in Australia. If you believe you have the legal matter regarding native title law, then please complete your free legal enquiry form on the left, or click here. Native title describes the rights of Aboriginal and Torres Strait Islander peoples to land and waters according to their traditional laws and customs. It was first recognised in the Australian legal system in 1992 by the High Court in the historic Mabo decision. Native title may include possession, occupation, use and enjoyment of traditional country. It may include the right to access an area of land or the right to participate in decisions concerning how the land or waters are used by other people. Native title may also vary according to the rights of other people and may exist alongside other rights (called ‘co-existence’). Native title cannot be bought or sold. It can be transferred by traditional law or custom, or surrendered to government, which can then pay compensation to the native title holders in the same way as it does when acquiring rights to other property. All applications for a determination of native title must be filed with the Court. make a determination that native title is to be held in trust. The main job of the Tribunal is to help people to resolve native title issues and to make agreements about the use of land. The Tribunal is not a court and does not decide whether or not native title exists. First, the Tribunal assesses each native title application. If the application passes certain legal tests the application is registered. After the application has been registered there is a three month period for the Tribunal to notify people and organisations whose interests may be affected by a native title application (this is called the notification period). The Federal Court then decides who the parties to the application are, and in most cases the Federal Court will then refer the application to the Tribunal for mediation. If the claim is not resolved by agreement through mediation, the matter goes back to the Federal Court. To make a native title application you need to fill out an application form. Once the form has been completed you need to send it to the Court. You can do this by bringing it to the Court, or by posting or faxing it or by sending it by the internet. This is called 'filing'. The Native Title Act encourages negotiation and agreement. Once the parties are identified, the Court may refer the application to the National Native Title Tribunal for mediation. At the Tribunal, a Tribunal member will act as a mediator to assist the parties to come to an agreement on whether native title exists and if so, who holds it. The mediation can continue for at least three months. After this time, any of the parties can ask the Court to stop the mediation and have the application heard by a Judge. After an application has been filed with the Court a Judge may order that a mediation or case management conference be arranged. Usually all of the parties agree. The mediator, who may be a Registrar of the Court, will help the parties to reach an agreement or to clarify the issues that are really in dispute. If the mediation is unsuccessful the application will usually be heard by a Judge. At the hearing each of the parties will present their evidence. It is still possible, even after the hearing has started, for the Judge to direct the parties to try to reach an agreement on some of the issues in dispute through mediation. Resolving native title applications is a complex and time-consuming process. It involves recognition of the operation of two systems of law: Australian common law and statute law on the one hand and the traditional law and custom of the Aboriginal and Torres Strait Islander peoples on the other. To decide the question of whether native title exists and who it belongs to, the Judges will usually take evidence in the area subject to the claim and also visit important sites. Sometimes the Court uses video link-up technology so that people living in remote areas can give evidence which is then televised to the courtroom. The Court has implemented an innovative case management system called the Individual Docket System. Under this system, Judges of the Court are actively involved in managing a case from beginning to end. Most cases are allocated to Judges soon after they are filed in the Court. The native title list is managed as a national list. Once an application has been filed it will be allocated to a 'provisional docket judge' who monitors the application for the Court. The Court has established a National Native Title Co-ordination Unit to provide advice to the Chief Justice and other Judges on management of native title cases. Staff with experience in native title are also available in most Registries of the Court to assist applicants and parties in the practice and procedures of the Court and to assist in the organisation of hearings in remote localities. You can attend hearings in person (without a lawyer) or be represented by a lawyer. You can also ask the Court to allow you to be represented by a person who is not a lawyer. You can ask an association, society, organisation or other body to act as your agent in the proceedings. An agent can act for more than one party in the proceedings. 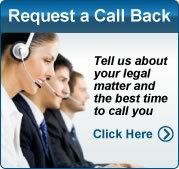 If you believe you have the legal matter regarding native title law and would like to get the best legal representation, then please complete your free legal enquiry form on the left, or click here. A determination of native title is a decision by the Court whether or not native title exists in relation to a particular area of land or waters. whether the native title rights and interests allow the native title holders to possess, occupy, use and enjoy the land or waters to the exclusion of all others. parties are unable to reach agreement and the Court hears the evidence and determines if native title exists. What is the process for determination? 1. Filing: Once the application is filed the Court checks whether it is complete and correct. If it is, the application is sent to the Tribunal. 2. Registration: The Tribunal will apply the registration test. Passing the registration test gives the native title claim group certain procedural rights, including the right to negotiate (eg. over mining or mineral exploration). Applications which fail the registration test usually proceed to mediation and/or trial, but the applicants do not have the right to negotiate. If the Tribunal does not accept the claim for registration, the applicant may ask the Court to review the Tribunal’s decision. 3. Notification: The Tribunal will advise the public and any individual or body (including State or Territory governments) whose interests may be affected by a native title determination to apply to the Court to become a party to mediation. The period in which a person can apply to the Court is three months. 4. The Court will receive the applications to become a party and will decide whether or not the person is a party. the Judge may finalise the party list and refer an application to the Tribunal for mediation. 6. If mediation in the Tribunal is successful, the agreement reached will be referred to the Court, which may make a determination of native title consistent with the agreement. 7. If the mediation is not successful, the Tribunal will provide a report to the Court. The Court may direct that further mediation occur or may hear the case. Aboriginal people and Torres Strait Islanders occupied Australia for at least 40,000 to 60,000 before the first British colony was established in Australia. They spoke their own languages and had their own laws and customs. Those laws and customs were characterised by a strong spiritual connection to 'country'. providing education and passing on law and custom through stories, art, song and dance. ‘by European standards, had no civilised inhabitants or settled law’. of native title did not apply to Australia. In 1992, nearly 200 years after the arrival of the British, the High Court of Australia made an historic decision. In Mabo (No 2), the Court decided that the doctrine of terra nullius should not have been applied to Australia and that the common law of Australia would recognise native title. The landmark Mabo (No 2) decision led to the Australian Parliament passing the Native Title Act 1993 (Cwlth). The National Native Title Tribunal of Australia works with people to develop an understanding of native title and reach enduring native title and related outcomes that recognise everyone's rights and interests in land and waters. It works in an impartial and fair way, taking into account the views and concerns of everyone involved in the native title process. The Attorney-General's Department is responsible for the formulation and provision of legal and legal policy advice to the Federal Government on native title. In May 1982, Eddie Mabo and four other Meriam people of the Murray Islands in the Torres Strait began action in the High Court of Australia seeking confirmation of their traditional land rights. They claimed that Murray Island (Mer) and surrounding islands and reefs had been continuously inhabited and exclusively possessed by the Meriam people who lived in permanent communities with their own social and political organisation. They conceded that the British Crown in the form of the colony of Queensland became sovereign of the islands when they were annexed in 1879. Nevertheless they claimed continued enjoyment of their land rights and that these had not been validly extinguished by the sovereign. They sought recognition of these continuing rights from the Australian legal system. The case was heard over ten years through both the High Court and the Queensland Supreme Court. During this time, three of the plaintiffs including Eddie Mabo died. The decision struck down the doctrine that Australia was terra nullius - a land belonging to no-one. The High Court judgment found that native title rights survived settlement, though subject to the sovereignty of the Crown. The judgment contained statements to the effect that it could not perpetuate a view of the common law which is unjust, does not respect all Australians as equal before the law, is out of step with international human rights norms, and is inconsistent with historical reality. The High Court recognised the fact that Aboriginal people had lived in Australia for thousands of years and enjoyed rights to their land according to their own laws and customs. They had been dispossessed of their lands piece by piece as the colony grew and that very dispossession underwrote the development of Australia into a nation. The Native Title Act 1993 is part of the Commonwealth Government's response to that historic High Court decision. The Government was simultaneously presented with an opportunity and a challenge. The opportunity was to improve the relationship between Aboriginal and non-Aboriginal Australians, and recognise their basic property rights. The challenge was how to respond to the land management issues because these property rights were recognised. The Prime Minister said also during the passage of the legislation through Parliament that the Government made its twin objectives clear in its response to Mabo: to do justice to the High Court decision in protecting native title, and to ensure workable, certain land management. It recognises and protects native title. It provides for the validation of any past grants of land that may otherwise have been invalid because of the existence of native title. It provides a regime to enable future dealings in native title lands and imposes conditions on those dealings. It establishes a regime to ascertain where native title exists, who holds it and what it is, and to determine compensation for acts affecting it. It creates a land acquisition fund to meet the needs of dispossessed Aboriginal and Torres Strait Islander peoples who would not be able to claim native title. In the Act, the Commonwealth has adopted the common law definition of native title. Native title is defined as the rights and interests that are possessed under the traditional laws and customs of Aboriginal and Torres Strait Islander peoples, and that are recognised by common law. Native title will be subject to the general laws of Australia, including State and Territory laws that are consistent with the Act, although native title rights to hunt, fish and carry on other activities may be exercised without the need for a licence or permit where others can carry out the activity only with a licence or permit. The legislation represents a point of balance that recognises everyone's interests: Aboriginal and Torres Strait Islander peoples who need their property rights and cultural rights recognised and respected; land developers - miners, pastoralists, tourist operators and others - who need access to land and certainty of title; and State and Territory Governments that need to manage land resources. The Native Title Act came into operation on 1 January 1994. From that time no action may validly be taken in relation to land that is subject to native title except in accordance with the Act. Where land has been subject to certain types of tenure such as freehold, any native title to that land has been extinguished. In such cases, any action in relation to that land, such as the processing of mining applications, may proceed. However, if it is not clear from the tenure history that native title would have been extinguished on the land in question, for example, on vacant Crown land, then the proposed dealings in land would have to proceed with due regard for native title under the Act. The Act provides for a systematic legal framework to deal with matters affecting native title. The new National Native Title Tribunal has the power to determine uncontested native title and compensation claims and will handle other issues including assisting negotiations and making decisions on proposed grants. The Act gives jurisdiction to the Federal Court to determine contested claims. The Tribunal is based in Perth and there are registries in all capital cities. The Tribunal is headed by Justice Robert French, whose appointment as President commenced on 2 May 1994 for three years. Among other things in a distinguished career, Justice French helped found, and later became Chairman of, the Aboriginal Legal Service in Western Australia. The procedures of the Tribunal and those of the Federal Court are designed to be fair, just, economical and prompt. Those procedures must take account of the cultural and customary concerns of Aboriginal and Torres Strait Islander peoples, and are not bound by legal forms or rules of evidence. This ensures that there will be sensitivity to traditional laws and customs. At the same time, there are safeguards against frivolous and vexatious claims, which will be rejected, and applications must contain sufficient information about the claims and must specify the area covered. The Native Title Act provides an innovative and accessible approach to settle native title claims. For example, the Act confirms the potential to settle difficult cases by negotiation and further recognises that agreements might be reached on a regional basis. The Act also sets out criteria to be satisfied in order to ensure that there is a nationally consistent approach to the recognition of native title so that State and Territory tribunals and processes can be recognised in order to fulfil the functions of the National Tribunal. The Act is designed to allow a cooperative regime between the Commonwealth and the States and Territories by enabling their own bodies to be set up to determine native title, compensation claims and whether future dealings in native land can be done. States and Territories can choose, however, to use the Commonwealth regime. States and Territories can enact complementary validating legislation and develop other appropriate processes. At the time of writing there had been some clear developments in this area. Most States and Territories have enacted or introduced legislation intended to validate their past acts. The legislation of several States also makes provision for arrangements to determine whether future dealings in native title land can take place. Where such State or Territory legislation exists and has been recognised, Aboriginal and Torres Strait Islander peoples will have a choice as to whether they seek determinations of native title and compensation through the Commonwealth or State or Territory systems. Determinations on whether certain grants over native title land can proceed would be made under the State or Territory law. Native title holders are entitled to compensation for the effect of the validation of past acts on their rights. That compensation is payable by the Government that made the past act. If a future act extinguishes or impairs native title, the native title holders will be entitled to compensation on essentially the same basis as someone who holds a freehold title (or leasehold in the Australian Capital Territory or Jervis Bay Territory), according to the relevant compensation laws. The National Native Title Tribunal can deal with uncontested claims for compensation and will seek to mediate contested claims. If mediation is unsuccessful, the matter will be referred to the Federal Court. The Commonwealth has offered to pay the majority of certain costs: three-quarters of the cost of past acts, and, until 1998, half of the continuing costs for State/Territory recognised bodies and alternative provisions to the Commonwealth regime. Anybody with an interest in land - for example, holders of certain types of lease or an exploration permit - and all governments may wish to know whether native title exists in relation to that land, or whether a claim has been made for a determination about native title. If it cannot be readily established that native title has been extinguished, application can be made to the Tribunal for a determination. These applications are called non-claimant applications, to distinguish them from claims for native title from Aboriginal and Torres Strait Islander peoples who believe they may have native title rights. If no claim is made within two months of the non-claimant application being publicly advertised, the government in question can issue the lease. Even if native title is later found to have existed, the lease remains valid and any compensation would be payable by the government. Through the non-claimant process, the Act sets up a system where future acts can take place with certainty and the process takes place in a defined time frame. Normal government compulsory acquisition procedures, including a right to compensation, can apply to native title land. This means that governments may acquire land from native title holders, just as from other land holders, for public purposes such as infrastructure. The legislation further recognises that native title holders may choose to surrender native title on terms acceptable to them, for example, to exchange it for a statutory title to allow them to engage in tourism or other commercial ventures. Native title has been widely extinguished by past acts of government, such as the granting of freehold and leasehold title. Many Aboriginal and Torres Strait Islander peoples now live away from their traditional lands and could find it impossible to demonstrate a connection with those lands. In recognition of the fact that many Aboriginal and Torres Strait Islander peoples will not be able to gain native title because of historic dispossession, the Commonwealth Government also established a land acquisition fund under the Act. The fund allows Aboriginal and Torres Strait Islander peoples to acquire and manage land in a way that provides economic, environmental, social or cultural benefits to them. In the 1994-95 Budget the Commonwealth Government announced that a total of $1,463 million is to be allocated to the fund over ten years. These allocations will be invested so as to accumulate a self-sustaining fund for land acquisition and management. There is no provision in the Act for native title holders to veto mining on their land. The Act does, however, provide them with the right to negotiate under certain circumstances. Those circumstances include the compulsory acquisition by governments of native title where it is not for a direct public purpose (for example, building a school or road) but for the purpose of granting the land to a third party such as a property developer; and the creation of a right to mine. In a lot of cases the outcome will most likely be decided between the developer and the relevant Aboriginal or Torres Strait Islander community. Where agreement cannot be reached, the Act provides for an arbitrated determination by the Tribunal and, potentially, a ministerial decision, which overrides the Tribunal's determination. The Act sets out fair and finite time periods for this process. The Act also allows certain future activities that will have minimal effect on native title to be excluded from the arrangements which give rights to negotiate to native title holders. This will be of special relevance and value to mineral exploration. State and Territory mining laws that deal with other aspects of the mining regime are unaffected by the Native Title Act. The Act ensures that legislative regimes for economic activities offshore, especially commercial fisheries, and petroleum extraction can be validated. Mining leases will not extinguish native title, which can be exercised after the grant and any renewals have expired. Future mining grants will not extinguish native title. This provision is in line with existing State practices with respect to mining grants over freehold land. Mining leases may be renewed on the same terms as before. The Act makes provision for Aboriginal people who own or acquire a pastoral lease to choose to claim native title rights where it is determined that the owners would otherwise meet native title criteria apart from the existence of the lease. The pastoral lease would not be given up. Existing covenants and conditions in the lease will continue to apply and prevail over native rights. Valid pastoral leases can be renewed even if native title has survived the lease and the use of the land. For pastoral leases generally, the Act ensures that the existing rights of pastoral lease holders are protected: should any invalidity be found because of native title, the lease will be validated. If you need legal advice regarding Native Title Law, then please complete your free legal enquiry form on the left, and we will put you in touch with a Native Title Law lawyer nearest you, who can help you with Native Title Law. Our free legal enquiry service for Native Title Law extends to all locations throughout Australia. Jump to ‎: The Native Title Amendment Act (No.1) 2010 was given Royal Assent on 15 December and ..
soon followed by the Native Title Act 1993 (Cth), which also dictated the regime for .. Nevertheless, native title law in Australia has developed along different ..
What is native title? (Department of Environment and Resource .. Native title describes the rights and interests of Indigenous people under their traditional laws and customs. Information about native title law. Native title: an overview. Australia's native title laws recognise some. Indigenous people's .. Native title is the recognition in Australian law that some. Indigenous ..
Access legal and anthropological information including research reports and Native Title Hot Spots using our portal for lawyers and researchers. Native Title Act 1993. Act No. 110 of 1993 as amended. This compilation was prepared on 29 March 2011 taking into account amendments up .. THE MABO CASE AND THE NATIVE TITLE ACT This article has been contributed by the Native Title Section of the Department of Prime .. But I was particularly asked to make my focus some aspect of native title law. .. And I shall also include assessments of Australian law on native title by reference .. Native title has been linked to international law since Justice Brennan's .. Under the Native Title Act 1993 (Cth), the Commissioner is required to make a Native .. The Native Title Research Unit (NTRU) was established through a collaboration .. Indigenous peoples' rights to land under the legal concept of native title. The Native Title Act - Information about native title - National Native .. The Native Title Act 1993 (Cwlth) was enacted as a result of the decision made by the High Court of Australia in Mabo v Queensland (No.2) 1992. The Federal .. Constitutional and Native Title Law Practice Group. The Constitutional and Native Title Practice Group deals with matters affecting the .. Native Title, Reform Issue 93, 2009. Indigenous Law and Native Title, Native Title Unit, Australian Attorney-General's Department, updated April ..
Queensland. Native Title (Queensland) Act. 1993. Reprinted as in force on 18 July 2008. Reprint No. 1C. This reprint is prepared by the Office of the Queensland .. Native Title work procedures (Department of Environment and .. The Procedures reflect current native title law and policy and are an essential tool for officers carrying out native title assessments. As changes ..
the area in question by those traditional laws and customs. • the rights and interests are recognised by the common law of Australia. Native title has its source in .. The Native Title Debate: Background and Current Issues Briefing ..
by G Griffith - 1998 - - OVERVIEW OF THE FEDERAL NATIVE TITLE ACT 1993 AS FIRST .. under the common law, extinguishment of native title may occur in some cases: (a) ..
Peter Anet has been Deputy Crown Solicitor since 1996, in charge of the Constitutional Law and Native Title Practice Group. He deputises for ..
as compromised by the demands of native title law, or perhaps subverted by it. .. Cultural, legal, historical and practice issues in native title, Melbourne ..
stolen generations, native title, Indigenous identity, and legal theory. .. concept of society in native title jurisprudence as it relates to legal positivism and then ..
ATTORNEY-GENERAL'S DEPARTMENT Legal Assistance Branch .. Native Title Act 1993, and also in accordance with the Guidelines for the Provision of. Financial Assistance by the Attorney-General in Native Title Cases (the .. Native title has its origins in and is given its content by the traditional laws .. It is also a response to the Native Title Act which reinforces the common law position ..
Couse titled Native Title Law and Policy LA4035 from 20-24 July 2009. More. .. Paper delivered to LexisNexis Native Title Law Summit 2009. More.. June .. The common law recognition of native title in the High Court's Mabo decision in 1992 and .. Commonwealth Native Title Act have transformed the ways in which .. Following the High Court of Australia's Mabo judgement, the Commonwealth enacted the Native Title Act 1993 which commenced its operation on 1 January ..
Land, Rights, Laws: Issues of Native Title - THE WAY FORWARD ..
NTRU Newsletter. 27 February 1997. The High Court Mabo decision in 1992, the passing of the. Commonwealth Native Title Act in 1993, and the Wik decision in ..
About: The importance of the Mabo decision in recognising Indigenous occupation of Australia; developments in the law of native title since; ..
No. 110 of 1993. Administered by: Attorney-General's, Families, Housing, Community Services and Indigenous Affairs ..
prepared in accordance with section 209 of the Native Title Act 1993 (Cth). The Report reviews developments in native title law and policy from ..
for development of the law applicable to native title.2. The High Court reviewed .. idea of native title within Australian law, suggested that: Obviously, where the .. However, in native title matters anthropologists undertake work in a legal .. evidence required by the Commonwealth Native Title Act 1993 and the courts to .. In Australian native title law, there has been no recognition of exclusive .. The Commonwealth Native Title Act was enacted in 1993 as a response to the Mabo .. Under the Native Title Act 1993, the Social Justice Commissioner is required to prepare a Native Title Report each year for federal Parliament. THE EVOLUTION OF NATIVE TITLE IN THE HIGH COURT OF ..
by PGJ Koppenol - 2003 - - I was offered that brief, I looked at my old Law School notes about native title. .. common law recognises native title, much has occurred in this field of law. In the .. Native Title Report 2011: Appendix 3: Recommendations from the ..
2.1 That the Australian Government commission an independent inquiry to review the operation of the native title system and explore options for native title law ..
is the recognition in Australian law that some Indigenous people continue to hold rights to their lands and waters, which come from their traditional .. The Social Effects of Native Title: Recognition, Translation ..
by J Weir - - The recognition and development of native title law has focused attention on .. of land tenure, has limited the potential of native title to recognise the laws and .. Exactly what is native title? - Information about native title - National ..
is the recognition by Australian law that some Indigenous people have rights and interests to their land that come from their traditional laws and .. The common law recognition of native title in the High Court's Mabo decision in 1992 .. the Commonwealth Native Title Act have transformed the ways in which .. Under the Native Title Act 1993 (Cth), the Federal Court of Australia is responsible for the management and determination of all applications .. Native Title Act 1993 to enhance the effectiveness of the native title system for .. Part 2 of the Act sets out the provisions relating to native title. prepared in accordance with section 209 of the Native Title Act 1993 (Cth). The Report reviews developments in native title law and policy from 1 July 2010 to 30 ..
Land, Rights, Laws: Issues of Native Title. Native Title Research Unit. Australian Institute of Aboriginal and Torres Strait Islander Studies. Editor: Mary Edmunds .. Native Title Amendment (Reform) Bill 2011 - Australian Human .. The Australian Human Rights Commission welcomes the opportunity to comment on the proposed changes to the Native Title Act 1993 (Cth) in ..
reports that adhere to the Evidence Act (Cth) 1995 and the importance of anthropologists to properly understand native title law. The paper focuses .. Native Title Act has transformed the ways in which Indigenous peoples' rights over land may be formally recognised and incorporated within Australian legal and ..
Indigenous Law and Justice. The Attorney-General's Department is responsible for the delivery of programs that benefit Indigenous Australians, and for policy ..
No. , 2011. (Senator Siewert). A Bill for an Act to amend the Native Title Act 1993 .. This Act may be cited as the Native Title Amendment (Reform) Act. 7. 2011. 8 ..
administrative obligations required by native title holders under the Native Title Act 1993. (Cth), the failure of government to fund the corporations responsible for ..
AND INDIGENOUS LAW. With strengths in: Aboriginal and Torres Strait Islander heritage protection, Indigenous land use agreements and land ..
Home - Indigenous law and native title - Native Title .. The Department assists the Attorney-General in the administration of the Native Title Act 1993 (except .. Please note: native title law may have changed since the speeches were given and the papers written. For details about how the Native Title Act has changed, .. Native title determinations are legal decisions that native title does or does not .. Title Act that could lead to a determination of native title. The most common type ..
priorities and themes that will guide my work in native title. I also review a selection of developments in native title law and policy that occurred during .. This landmark decision paved the way for the recognition and protection of native title across Australia and led to the Native Title Act. The Tribunal thanks Mrs B. Laws: Issues of Native Title will explore where native title might fit into this debate. In the first paper, senior constitutional scholar George .. The Native Title Act 1993 (amended in 1998) gave such an opportunity – through the Act, Indigenous people can go to the Federal Court to .. In 2009, the Federal Government proposed to amend the Native Title Act 1993 .. were passed into legislation as the Native Title Amendment Act (No.1) 2010 in ..
Commonwealth Native Title Act in 1993 mark a fundamental shift in the recognition of indigenous rights in Australia. The Act, like the High Court decision on .. The Native Title Act 1993 is only a beginning. The concept of native title will need to be explored and developed by courts, tribunals, .. The common law recognition of native title in the High Court's Mabo decision in 1992 and the. Commonwealth Native Title Act has transformed the ways in which ..
Jump to ‎: The present state of Australian law of native title, both common law and ..
Issues paper no. 27. The recognition of native title in the High Court's Mabo decision in 1992, the Commonwealth. Native Title Act in 1993, and the Wik decision .. Native Title Act 1993 (Cth), conflicting federal court cases, the .. Under the amended Native Title Act 1993 ('NTA'), a native title determination application to land .. The High Court Mabo decision in 1992, the passing of the Commonwealth Native Title. Act in 1993, and the Wik decision in December 1996 mark a fundamental ..
Emily Gerrard, BSc/LLB (Hons), is currently a lawyer at Native Title Services Victoria Ltd. Her previous experience in corporate law included advising on ..
1. Land, Rights, Laws: Issues of Native Title. Native Title Research Unit. Australian Institute of Aboriginal and Torres Strait Islander Studies. Editor: Lisa Strelein ..
Commonwealth Native Title Act in 1993, and the Wik decision in 1996 have transformed the ways in which Indigenous peoples' rights over land may be formally .. Native title is the legal recognition given to the traditional laws .. Title Act 1993 is a retrogressive step in that it extinguishes native title and limits the extent to ..
A Bill for an Act to amend the Native Title Act 1993 to further the interests of Aboriginal and Torres Strait Islander Australians, and for related ..
Land, Rights, Laws: Issues of Native Title. Editor: Serica Mackay. Volume 2. May 2004. Issues Paper no. 27. Abstract. Would the 'practical re-colonisation' of ..
NTA = Native Title Act 1993 (Cwlth). objection application (future act) registered native title claimants and registered native title bodies corporate (RNTBC) can .. The past year was one of consolidation and continuity for various facets of native title law and practice. The implementation of amendments made in 2009 to the ..
have prepared in accordance with section 209 of the Native Title Act 1993 (Cth). The Report reviews developments in native title law and policy .. Native title claims (Department of Environment and Resource ..
By lodging a native title claim in the Federal Court, the native title party commences a legal proceeding that involves the Queensland ..
suitable body to act on their behalf as required by the Native Title Act. In addition, .. The Native Title Act 1993 is a law first and foremost for the recognition and ..
very costly exercise. Compliance procedures. Local government activities may trigger the native title compliance procedures detailed in the Native Title Act 1993 .. Native Title Act 1993 and intellectual property as it applies to the environment. In the first week of June 1992, two events took place that have had a significant .. The Native Title Act 1993 was passed by Commonwealth Parliament on 22 December 1993. This Act provides statutory recognition and ..
(b) held that the common law of Australia recognises a form of native title that reflects the entitlement of the indigenous inhabitants of Australia, in accordance ..
to the extent allowed by law, expressly disclaim all and any liability and .. the Native Title Act 1993 (Cwlth) (NTA) .. 'developing law of native title'—see  to .. Native title - HSC Legal Studies: Preliminary Part I - Research ..
Australian legal system, law reform, law reform in action. Confessions of a Native Title Judge, Williams, Land, Rights, Laws: Issues of Native Title .. Court in 1992, and the Native Title Act was enacted the following year. the Commonwealth Native Title Act in 1993, and the Wik decision in. 1996 have .. which recognised the common law native title rights of indigenous peoples ..
NTA = Native Title Act 1993 (Cwlth). access agreement an agreement between native title holders and non-native title holders about access to areas of land and ..
1.1 On 12 May 2011, the Senate referred the Native Title Amendment (Reform) Bill 2011 (Bill) to the Legal and Constitutional Affairs Legislation Committee ..
by D Martin - constructions of Aboriginal traditions, laws, and customs in the native title arena. .. established under native title law (e.g. Glaskin 2003; Palmer 2007; Trigger .. Native Title Amendment Act (No. 1) 2010. No. 144, 2010. An Act to amend the Native Title Act 1993, and for related purposes. Contents. 1. Land, Rights, Laws: Issues of Native Title LIGHTING THE WIK OF ..
Commonwealth Native Title Act in 1993, and the Wik decision in. December 1996 mark a fundamental shift in the recognition of indigenous rights in Australia .. The CATSI Act and native title - Office of the Registrar of Indigenous .. The Native Title Act 1993 and the Native Title (Prescribed Bodies Corporate) Regulations 1999 (PBC Regulations) require corporations to register under the ..
NTA = Native Title Act 1993 (Cwlth). expedited procedure this refers to the fast-tracking process for future acts that might have minimal impact on native title, such .. Native Title Amendment Act 2009. No. 83, 2009. An Act to amend the Native Title Act 1993, and for other purposes. Contents. 1...... Short title ..
CATSI Act and the Native Title - Office of the Registrar of Indigenous .. Native title. The Corporations (Aboriginal and Torres Strait. Islander) Act 2006 (the CATSI Act) started on. 1 July 2007. It replaces the Aboriginal Councils and ..
NATIONAL NATIVE TITLE TRIBUNAL LEGAL NEWSLETTER .. there exist traditional laws and customs that give rise to the claimed native title – s. 62(2)(e)(ii); ..
Land, Rights, Laws: Issues of Native Title. Editor: Jane Anderson. Volume 2. June 2003. Issues paper no. 23. Abstract. In this paper Christine Zuni Cruz ..
At least 80% of the World Heritage Area is potentially claimable by a number of Aboriginal groups under the Native Title Act 1993. This is because about 80% of .. The recognition of native title in Australian law has transformed the ways in which .. part of the paper will examine what the Native Title Act, the Native Title ..
formal negotiations between the parties. Negotiations, which commenced outside the ambit of the Native Title Act, were concluded under the umbrella of the Act. In 1992, the Mabo case led to the development of the Native Title Act (NTA) and .. Before the Native Title Act, the law described Australia as 'terra nullius'. The Tribunal is an impartial, independent and expert body that provides a range of native title related resources for lawyers and researchers. On this page: ..
BUILDING THE PERFECT BEAST: NATIVE TITLE LAWYERS .. The native title process has precipitated a proliferation of lawyers who 'practise in native title'. Land, Rights, Laws: Issues of Native Title. Editor: Jessica Weir. Volume 2. December 2002. Issues paper no. 20. Abstract. This paper discusses the statewide ..
Land, Rights, Laws: Issues of Native Title. Editor: George Boeck. Volume 2. August 2001. Issues paper no. 9. The common law recognition of native title in the .. Since admission to the Supreme Court of Queensland as a solicitor 22 years ago, McAvoy's legal career has seen him involved in native title ..
Legal Assistance Branch. Native Title Practitioners Panel. The Legal Assistance Branch of the Attorney-General's Department is required to provide effective and ..
judgments in Yorta Yorta have interpreted the role of the Native Title Act 1993 (Cth), and .. decision in Yorta Yorta confirms that the legal outcomes of native title .. Administrative and Environment; Advising; Civil Litigation; Commercial; Commercial Counsel; Native Title; Outposted Lawyers. The work of each section is .. Principal Lawyer. Native Title Claims & Agreements Team #2. Environment, Resources & Dispute Resolution. Branch (Tuesday to Friday). State Law Building ..
. South Australian Native Title Claim Resolution Team (in conjunction with Native Title Section), Crown Solicitor's Office. A number of native title .. The Attorney-General has portfolio responsibility for native title and Indigenous law and justice issues. Following the National Apology to the Stolen Generations, ..
Submission to the Native Title Respondent Funding Scheme Review. Joint Submission of PGA of WA, Cornerstone Legal and Hunt & Humphry Project Lawyers ..
to improving the operation of the native title system. He has clearly identified reform to the native title system as a strategic priority.1. The Attorney-General has ..
Green's Native Title Amendment Bill a 'first step' say Indigenous .. reforms to the Native Title Act," said senior native title lawyer Wati Qalotaki. Australian Government Attorney-General's Department. Attorney Generals Department .. Indigenous law and native title. Indigenous Law Programs · Native title ..
the Commonwealth Attorney-General's Department, and up until recently as a senior policy officer with the WA Government Office of Native Title. Lisa holds a ..
Kimberley Land Council lawyer 1999-2008 (including senior lawyer for Miriuwung and. Gajerrong-Ord negotiations) and Visting Research Fellow, Native Title .. Thank you for the invitation to comment on the Attorney-General's discussion paper entitled Proposed minor native title amendments dated December 2008.
Review of the Claims Resolution Process in the Native Title System. The Attorney-General's Department has announced a Review of the Claims Resolution ..
by D Martin - Aboriginal people and their advisers, but also native title lawyers, policy makers and others engaged in the native title arena. Anthropology in the native title ..
experienced native title practitioners – lawyers, anthropologists and representatives from various levels of government – to find more efficient ways of preparing .. Since the Mabo Decision in 1992 there has developed a native title language. Not only lawyers and academics but members of the public have incorporated ..
was a lawyer and worked on land claims in central Australia. After completing a PhD in anthropology, he worked as an anthropologist on native title claims ..
On 14 January 2010, the Attorney-General released draft legislation detailing a proposed amendment to the Native Title Act 1993. A-Z list of case summaries - Native Title Hot Spots - National Native ..
Adnyamathanha No 1 Native Title Claim Group v South Australia  FCA 358 .. Attorney-General of the Northern Territory v Ward  FCAFC 283. Wilcox ..
Its aim was to bring together a range of experienced native title practitioners - lawyers, anthropologists and representatives from various levels ..
Western Australian Fishing Industry Council - Attorney-General's ..
- WAFIC has participated in the mediation of seven native title consent determinations. .. Access to justice principles are identified in the Attorney-General's .. Native Title Representative Body lawyers. Final Report. 7 April 2005. Richard Potok with the Castan Centre for Human Rights Law. Monash University .. Contributing to the understanding of crucial issues of concern to native title .. lawyers, to detect their ethnocentrism and conservatism, and to resist their ..
native title holders. Simon Blackshield is a barrister and solicitor with fifteen years' experience as a native title lawyer in New South Wales, Queensland and .. APPLICATION FOR LEGAL OR FINANCIAL ASSISTANCE BY THE .. THE ATTORNEY-GENERAL IN NATIVE TITLE CASES. This form is to be completed by applicants seeking legal or financial assistance from the Attorney- ..
Legal advisor for Native Title Applications on behalf of the Applicant. Solicitor on the .. Providing advice, guidance and support to in-house lawyers. Preparing ..
SECOND READING SPEECH - NATIVE TITLE AMENDMENT BILL ..
Attorney General's Department .. The Native Title Amendment Bill 2009 will make amendments to the Native Title Act 1993 that will contribute ..
First Assistant Secretary Social inclusion Division Attorney-General's ..
representing around 57000 lawyers through the State and Territory Law .. of all current and future native title holders are represented and protected in decision- .. The Commonwealth Attorney-General, Hon Daryl Williams, in a detailed opening speech noted, among other things, that native title has proven to be far more ..
❖Lardil v Queensland: Where Does it Leave the Protection of Native Title? Andrew Chalk, Chalk and Fitzgerald Lawyers. ❖Analogies and Norms of Reference in .. Native Title Report 2011: Chapter 2: Lateral violence in native title ..
2.2 How does the native title process contribute to lateral violence? ... system, we need other people such as lawyers, anthropologists and historians to help us. FEDERAL MINIMUM CONNECTION THRESHOLD IN NATIVE TITLE .. The Native Title Unit within the Social Inclusion Division of the Attorney-General's Department (AGD) has entered into a contract with the Australian Institute of ..
exercising his native title right under the Native Title Act 1993 to hunt and fish. (CT, 8 Oct, p1)*. The Federal Attorney-General, the Hon Daryl Williams AM MP ..
And the Attorney-General has recognised this and has counselled those who work within the native title system that to bring about meaningful ..
Simon Blackshield is a lawyer who has been practising in the native title area since 1994, on the east and west coasts. While employed by the .. Announcements archive - Announcements - National Native Title .. The National Native Title Tribunal's Annual Report 2010-2011 has now been tabled in .. The Tribunal's President responded to the Attorney-General providing a .. Launch of Reform 93: Native Title and the ALRC's inaugural RAP ..
And the very first thing that the Attorney said in reply was: We must address problems with Native Title to make sure it's delivering positive ..
South Native Title Services (QSNTS) in Brisbane between June 1-3, 2011. It was hosted by the .. and Wati Qalotaki (a. Senior Native Title Lawyer at QSNTS). Legal training improves ILUA understanding - Talking Native Title ..
"The Tribunal is proud of the contribution made by its legal experts to the professional development of lawyers employed by native title ..
extinguishment, native title exists in the Perth metropolitan area and is held by the .. and Indigenous Law Network, which includes specialist native title lawyers ..
Filing and other fees - Federal Court of Australia - information for .. These Court fees are different from the fees that lawyers charge their clients. A filing fee applies to the following native title forms: ..
- Ms Jennifer Hart, Assistant Crown Solicitor, Native Title Section, Crown Solicitor's Office, South Australian Attorney-General's Department .. The Native Title Amendment Bill 2006. Ally Foat, Intern from the Aurora Project, AIATSIS. On 7 September 2005 the Attorney-General announced a suite of ..
Land ownership book includes Tribunal expertise - Talking Native ..
National Native Title Tribunal .. Canada and South Africa, are mainly lawyers and academics and include essays from Marcia Langton and the ..
Minor Native Title Amendments', submission to the Attorney-. General in response to the December 2008 Commonwealth discussion paper on proposed minor ..
Land, Rights, Laws: Issues of Native Title is a multi-disciplinary series of .. Building the Perfect Beast: Native Title Lawyers and the Practise of Native Title ..
Attorney-General, 2 Feb)*. A series of public hearings was held at Parliament House in Canberra by the. Parliamentary Joint Committee on Native Title and the ..
Victoria's new Attorney General, Rob Hulls. A number of barristers, including many QCs who had worked on some of the foundation cases in the native title ..
Report of the Aboriginal and Torres Strait Islander Social. Justice Commissioner to the Attorney-General as required by section 209 of the Native Title Act 1993 ..
ABORIGINAL BOUNDARIES: THE MEDIATION AND SETTLEMENT ..
by C JONES - 2002 - - The Research Unit of the National Native Title Tribunal publishes the Occasional Papers ... An agreement is drafted by lawyers to represent the ultimate .. Since November 2004 NTV has had a wide cross-section of users, including case officers, lawyers, native title applicants, judges, administrators and interested ..
Talking Native Title is produced quarterly by the Public Affairs team of the National Native Title .. the 100th Queensland ILUA, Attorney- ..
by R Farrell - 2007 - 3 Andrew Chalk 2001, 'Anthropologists and violins – a lawyer's view of expert evidence in native title cases', paper delivered to the 2001 Native Title Conference ..
Attorney General's Department - 4 December 2008 - Native Title ..
At the outset I acknowledge that while the law of native title may be complex, its objective is simple – to recognise Indigenous people's ongoing .. Date: 27 October 2011. Representatives: First Native Title Party: Mr Victor Asoyo, Gadens Lawyers. Second Native Title Party: Mr Daniel Lavery .. The Constitutive Role Of The Native Title Act In The Definition Of The ..
and lawyers with native title social realities. Mr. Simon Correy works as an anthropologist for the NSW Native Title Services. He has consultancy experience in .. Negotiation: The nature of the negotiation process in native title agreement making .. formally a native title lawyer and now a mediator and trainer of negotiators, ..
NTSCORP Submission on Commonweatlh native Title Connection ..
Law Officer, the Attorney-General might reasonably be expected to approach native title proceedings from a whole of government perspective. The Attorney-General tabled the Native Title Report. 2007 in the House of Representatives on 20 March. 2008. The Native Title Report 2007 anlayses how the ..
Report on Native Title Representative Body Workshops: Directions ..
the effective management of any native title process. A lack of agreement between the different professional groups, such as lawyers and researchers on how to ..
Strategic Policy and Legislation - Department of Justice (Victoria ..
25+ items – .. policy units provide direct advice to the Attorney-General and ..
1 February, 2009 Iain Anderson First Assistant Secretary Territories ..
First Assistant Secretary. Territories and Native Title Division. Attorney General's Department. Robert Garran Offices,. National Circuit, BARTON ..
Commission Website: Aboriginal and Torres Strait Islander Social .. The Claims Resolution Review is part of a package of reforms to the native title system, announced by the Attorney-General in September 2005 .. The National Native Title Tribunal has rejected a submission by lawyers for Goldfields native title applicants that the Western Australian .. The Attorney-General's Department announced the commencement of the Native Title Anthropologist Grants Program on 28 May 2010. Notice of an application to register an area agreement on the ..
Williams on their own behalf and on behalf of Port Curtis Coral Coast Native Title Claim Group. C/- Margarita Escartin, Gadens Lawyers, Level ..
Federal Attorney-General Robert McClelland announced proposed amendments to the Native. Title Act to improve the operation of the native title system. The joint Attorney-General and Minister for Families, Housing. Community .. the native title process to improve outcomes for Aboriginal and Torres Strait Islander .. The Future of Connection Material held by Native Title ..
Grace Koch. First published in 2008 by the Native Title Research Unit ... anthropologist and/or lawyer- would ensure a breadth of viewpoints. One possibility ..
anthropologists and lawyers who are preparing Native Title cases to some of the precedents in the Act. The marginalisation and exclusion that Northern Territory ..
Attorney Generals Answers to Questions on Notice 06/07 Budget ..
On 7 September 2005, the Attorney-General announced a package of reforms to improve the performance of the native title system. The package comprises six ..
well as in native title work for a large claim. Perhaps it has helped to create an expectation among some administrators and lawyers that this is how anthropology ..
D & G Lawyers. 114 Boundary Street. Contact address. SOUTH TOWNSVILLE QLD 4810. National Native Title Tribunal. Extract from Register .. This paper addresses a proposal by the President of the National Native Title .. of mediator: parties often expect of such distinguished lawyers that they will ..
Australian Government: Attorney-General's Department Achieving a Just and .. More information is available on the Native Title Respondent ..
- Chapter 2: Lateral violence in native title: our relationships over lands, territories and resources. Chapter 1: Chapter 2: .. Attorney-General's Department. Submission: Attorney General's Department on Proposed Amendments to Enable the Historical Extinguishment of Native Title to be Disregarded to Certain .. In addition to the conduct of this litigation, the branch's specialist planning and environment and native title lawyers advise extensively on the ..
Its aim was to bring together a range of experienced native title practitioners – lawyers, anthropologists and representatives from various levels of government .. The importance of these organisations to the operation of the native title system cannot be stressed enough. The Attorney-General's Department itself recognises ..
3RD NEGOTIATING NATIVE TITLE FORUM - Attorney-General's ..
As I see it, Native Title can be a bridge across the gap and assist in forging a new partnership with Indigenous Australians. It can provide ..
Chapter 2: Lateral violence in native title: our relationships over lands, territories and resources. 76. A key priority throughout .. Attorney-General's Department. -General's Department Latest News .. NSW Fair Trading has released a discussion paper titled "Financial Reporting Obligations for Small .. Native title mediation: issues identified, lessons learnt: proceedings .. Anthropologists and lawyers often have difficulty in translating people's stories to match the legal requirements for establishing native title. The experience of ..
2002 Nharnuwangga, Wajarri and Ngarla native title settlement in Western Australia. .. saying that the result 'shows the positive contribution lawyers can make'. NSW - Future Act Determination - NF11/1 - National Native Title ..
Representative for the native title party: Mr Eddy Neumann, Eddy Neumann Lawyers. Representative for the Government party: Ms Natasa ..
On the contrary, in Western Australia the assistance of respondent lawyers, many of whom have lengthy experience within the native title arena, has contributed ..
Countdown to the National Native Title Conference 2011 ... 2. The Carbon Farming ... Native Title Service as a lawyer for the Njamal. People. During the ..
What's New has the latest information about changes to Native TitleVision. .. lawyers, native title applicants, judges, administrators and interested parties. It's now 2003 and I'd say that few historians would consider native title concerns them at all. Many lawyers would not consider history the main game either. Legal and Constitutional Affairs Committees:Native Title Amendment ..
1.3 The native title system is not living up to its promise to Aboriginal and .. to the native title claimants, human rights bodies and experienced lawyers on what .. The Native Title Newsletter is published on a bi-monthly basis. The newsletter includes a ... Following the ruling the Victorian Attorney General,. Rob Hulls .. Racial Discrimination Act 8. Effect of this Act on State or Territory laws 9. Definitions located in Part 15 PART 2--NATIVE TITLE Division 1--Recognition and ..
by P van Hattem The Native Title Act establishes a Native Title Register, which includes details of all Federal Court and High Court determinations of native title. Jump to ‎: Australian Capital Territory. Native Title Act 1994 (ACT): An Act relating to native title. View full record. Native Title Law - Courses and Programs - The University of .. This course is an advanced examination of native title law in Australia. It deals with the common law concept of native title, as recognized in the High Court ..
E Law: Is Native Title a Proprietary Right? Unlike other forms of title, native title has only been recognized by the common law since 1992 when the landmark case Mabo v Queensland (No 2) was ..
by C Humphry - - The Native Title Act 1993 (Cth) provides that holders of Native Title are entitled to compensation for acts, particularly dealings in land, which affect native ..
UNSW Handbook Course - Native Title Law, Policy and Practice ..
At a technical level, we will break down that complexity by isolating the main elements of native title law (the requirements to prove a native title claim, the nature ..
by M HuntThis paper suggests how to deal with the practical problems presented by native title. It is not intended as a learned treatise on the law. Rather, it focuses on how .. Description, This unit will include a comprehensive examination of the native title system, including the legislative response to native title, the Native Title Act ..
E Law: Native Title after Wik: Where to Now? by P van Hattem - - The Native Title Act was introduced by the Keating government in response to that decision. The principle of extinguishment by the grant of ..
3 days ago – The Certificate of Native Title Studies allows students to undertake study of selected aspects of Native Title Law and Practice without enrolling .. Native title is examined in the context of the history of government law and policy in .. The subject then focuses on native title law and policy in Australia and .. Anxious native title lawyers, waiting 18 months for last week's ..
by J Clarke - 2004although they are not often remarked on, and were strengthened by discriminatory. 1998 amendments to the Native Title Act. The lawyers' apprehension in part ..
Unit details for LWB489 Native Title Law and Practice: Rationale, Objectives, Content, Teaching, Corequisites, Prerequisites, Credit points. by BR Smith - - Native title law and native title claims, negotiation of Indigenous Land Use Agreements (ILUAs) and other processes associated with the Native Title Act 1993 ..
by P van HattemCompensation under the Native Title Act. The liability to pay compensation can be assumed under an agreement with native title holders or claimants, imposed ..
E Law: THE NATIONAL NATIVE TITLE TRIBUNAL .. The Commonwealth's Native Title Act 1993 recognises these limitations. Recognising the vulnerability of native title to extinguishment, it restricted the exercise .. In addition, the course covers the broader policy and political debates that have influenced the evolution of Australian native title law over nearly 20 years and ..
E Law: CONSTITUTIONAL VALIDITY OF THE COMMONWEALTH'S ..
by S Pritchard - - The Native Title Act seeks to provide for the recognition and protection of native title as recognised by the common law of Australia (ss.3 and 10). It validates past ..
Common law rights and interests. (1) The expression native title or native title rights and interests means the communal, group or individual rights and interests ..
Ward, Wilson and Yorta Yorta: The High Court, Native Title and the ..
developments in native title law since the Mabo decision just over 10 years ago. .. debates in passing the Native Title Act in 1993 and the 1998 Howard .. Discussion Paper on the Tribunal - Murdoch University Electronic Journal of Law; Native Title Act 1993 (Cth) - Sect 107. Establishment of National Native Title ..
E Law: Native Title and Aboriginal Heritage Issues Affecting Oil And .. This paper examines the key provisions of the Native Title Act 1993 (NTA) which are relevant to petroleum explorers and producers, principally the subject of ..
1993 - SECT 253. Other definitions. Unless the contrary intention appears: "Aboriginal peoples" means peoples of the Aboriginal race of ..
by C Director - 2012In this Topical Issue, Jon Altman seeks to explore the ramifications of the Native Title Act Reform Bill, a private senator's bill introduced by Senator Rachel ..
Law - Native Title | Subject Guides - The University of Queensland ..
DU 120 Native Title - Australia; KU 659 Land tenure - Australia; KU 2562 Mabo or Wik. Dictionaries: Butterworths concise Australian legal dictionary ..
Effect of this Act on State or Territory laws 9. Definitions located in Part 15 10. Recognition and protection of native title 11. Extinguishment of native title 12. G I L B E R T + T O B I N. C E N T R E. O F. P U B L I C. L A W. THE TREATY PROJECT. ISSUES PAPER No. 3. Native Title and the Treaty Debate: What's the .. Leading international native title expert to deliver UQ public lecture ..
One of the world's leading native title law experts will investigate past and future challenges of native title legislation in Australia, New Zealand, .. In particular, the authors consider the ways in which the implementation of the Native Title Act 1993 (Cwlth), and the native title process for ..
LAWS7932 Mediation Strategies for Native Title Stakeholders - TC ..
Margaret currently teaches in the areas of Property Law, Native Title and Comparative Indigenous Legal Issues. Her teaching experience has also ranged over ..
- by S Brennan - - When Parliament enacted the Native Title Act 1993 it left fundamental .. Native title holders, already denied basic common law presumptions due to the belated ..
Property Law; Native Title; Environmental law; Equity; Property regimes and Peace-making. Brief Biographical Detail Ms Lane has worked in a variety of legal .. Native Title Internships - the Adelaide Law School - The University of .. The Aurora Project introduces law students to career opportunities in native title and Indigenous affairs, and provides assistance to under-resourced and .. Native title and Australia's resource boom: a lost opportunity? In its 1992 Mabo decision, the High Court found that inherent Indigenous rights in land and water ("native title") existed before European .. He teaches, writes and researches mainly in the areas of native title, land rights and other Indigenous legal issues as well as constitutional law. He is a co-author .. The Aurora Project, an organisation funded by government and corporate bodies works closely with a range of specialists in native title, Indigenous education ..
Next time someone tells you native title has not lived up to ..
by J Clarke - 2002Faculty of Law. Australian National University. December 2002. Native title has been called many names, but High Court Justice Ian Callinan has found the ..
by S Brennan - - a native title claim under the law that's developed in Australia. The term continuity doesn't appear in the Native Title Act. The reason it's ..
Indigenous Land Use Agreements Under The Amended Native Title .. The Native Title Amendment Act 1998 will amend the Native Title Act 1993 .. The Native Title Act presently classifies all future acts as either permissible future .. NATIVE TITLE AMENDMENT (REFORM) BILL 2011 Explanatory .. Schedule 1 Amendments to the Native Title Act 1993 Item 1 5. .. Subsection (2) provides that the provisions of the Native Title Act 1993 are to be interpreted and ..
Indigenous Peoples, Land and Resources Law (Formerly Native ..
and practice will provide the context of much of the Australian material and will occupy a significant part of the subject. Particular attention will be ..
by R French - - The events which led to the enactment of the Native Title Act 1993 were characterised by an historic negotiation process between Aboriginal, .. The tide of history : Australian native title discourse in global ..
Australian native-title law has many inconsistencies and contradictions. Emanating from the Mabo decision is the central contradiction that the .. NATIVE TITLE ACT 1993 - SECT 211 Preservation of certain native ..
1993 - SECT 211. Preservation of certain native title rights and interests. Requirements for removal of prohibition etc. on native title holders ..
1993 - PREAMBLE. Preamble. This preamble sets out considerations taken into account by the Parliament of Australia in enacting the law .. NATIVE TITLE ACT 1993 - SECT 24KA Facilities for services to the ..
1993 - SECT 24KA. Facilities for services to the public. Coverage of Subdivision. (1) This Subdivision applies to a future act if: (a) it relates, to .. NATIVE TITLE ACT 1993 - SECT 62 Information etc. in relation to ..
(i) that the applicant believes that the native title rights and interests claimed by the native title claim group have not been extinguished in relation to any part of .. Her LLM thesis titled 'Lessons in History in the High Court's Approach to Native Title' examines native title law from a diverse range of .. The Politics of Remembering and Forgetting: Native Title Law and ..
by FG Dominello - 2009 - decision and of the more recent High Court cases in native title law, .. their interpretation of the definition of native title in the Native Title Act 1993 (Cth) ('NTA'). by P van HattemJump to ‎: The Native Title Act presently classifies all future acts as either permissible future acts (which .. Defining native title - Indigenous cultural knowledge and the Native ..
by E Arcioni - 2003 - - This article argues that the definition of native title in the Native Title Act 1993 (Cth) .. the Native Title Act, Southern Cross University Law Review, 7, 2003, 50-88. NATIVE TITLE ACT 1993 - SECT 24MD Treatment of acts that pass ..
(1) If this Subdivision applies to a future act, then, subject to Subdivision P (which deals with the right to negotiate), the act is valid. Extinguishment of native title .. NATIVE TITLE ACT 1993 - SECT 51 Criteria for determining ..
(2) If the act is the compulsory acquisition of all or any of the native title rights and interests of the native title holders, the court, person or body making the ..
What's the difference between native title and land rights? Native title is a set, or bundle, of rights and interests in relation to land or waters that has the following qualities: • it is possessed under the traditional laws .. Native Title: An exception to indefeasibility and a ground for invoking ..
by U Secher - 2000 - Neither the Native Title Act 1993 (Cth) nor the various State and Territory real property Acts adequately address the effect upon native title of the ..
Law student completes Aurora Native Title Internship, La Trobe ..
Jill Webb, a graduate-entry law student, recently completed a prestigious internship offered through the Aurora Native Title Internship Program. the Rights of Indigenous Peoples (DRIP) from the other provisions dealing specifically with native title law. There are good reasons for this, namely that the ..
Indigenous Peoples, Land and Resources Law (formerly Native Title ..
2010. Indigenous Peoples, Land and Resources Law (formerly Native Title Law and Practice) 730876. Overview. Teaching Dates. Assessment ..
2002/2003 - Volume 9 (Special Issue: Native Title: A Decade after ..
Geoff Clark. Mediation under the Native Title Act 1993 (Cth): Some structural considerations. U Secher and H A Amankwah. Native Title, Crown ..
Margaret Stephenson - TC Beirne School of Law - The University of .. CARBON CREDITS (CARBON FARMING INITIATIVE) ACT 2011 ..
"Aboriginal peoples" has the same meaning as in the Native Title Act 1993 . .. "common law holders" , in relation to native title land, has the same meaning as in ..
(2) If this Subdivision applies to a future act, the act is valid. Extinguishment of native title by compulsory acquisition. (3) If: (a) the act is the compulsory ..
"affect"—an act or activity affects native title if it extinguishes native title or it is wholly or partly inconsistent with the continued existence, enjoyment or exercise of .. Native Title Student Internship Program - Faculty of Law - Monash ..
research into: pro forma native title agreements; case law; the impact of developments in international intellectual and cultural property law and ..
LAWS7990 Native Title Mediation - TC Beirne School of Law - The ..
E Law: Native Title Representative Bodies Under The Native Title .. Native Title Representative Bodies (NTRBs) are bodies "recognised" under the Native Title Act 1993 (Cth) (the Act), as amended by the Native Title Amendment ..
Review of Bartlett, Native Title in Australia (Sydney: Butterworths ..
by BA Alex ReillyIts publication is timely, though in many ways native title law in Australia is still in a formative stage. With the law changing so rapidly, it must have been difficult to ..
Australian law on native title — in particular its characterisation, its content and .. Nonetheless, it is possible to tackle the intersection of native title law with the .. Native Title Law, Policy & Practice. Monday 16, Tuesday 17, Thursday 19 and Friday 20 January. 2012. 9am to 5pm each day. UNSW Kensington Campus .. Select 6 credit points of specified LA level 4 subjects. LA4034:03 Alternative Dispute Resolution. LA4035:03 Native Title Law and Policy .. NATIVE TITLE (PRESCRIBED BODIES CORPORATE ..
made under the Native Title Act 1993 TABLE OF PROVISIONS PART 1--PRELIMINARY 1. Name of regulations [see Note 1] 2. Commencement [see Note 1] 3. NATIVE TITLE ACT 1993 - SECT 24EB Effect of registration on ..
1993 - SECT 24EB. Effect of registration on proposed acts covered by indigenous land use agreements. Coverage of section. (1) The ..
by F Morphy - - sovereignty' and the legislation and the growing body of native title case law. 'can be .. and of the Native Title Act presupposes the sovereignty of the state, and, ..
by M Weir - 2002Weir, Michael (2002) "The story of native title," The National Legal Eagle: Vol. 8: Iss. 1 .. underpinning of the legal acknowledgment of native title in. Australia. NATIVE TITLE ACT 1993 - SECT 24JAA Public housing etc. 1993 - SECT 24JAA. Public housing etc. Coverage of Subdivision. (1) This Subdivision applies to a future act if: (a) it relates, to any extent, ..
by FG Dominello - 2009 - The Politics of Remembering and Forgetting: Native Title Law and Reconciliation in Australia. Francesca Giorgia Dominello ..
simon.young - UWA Staff Profile > The University of Western .. He specialises in public law (particularly administrative law) and Indigenous law and policy (particularly native title). He has published books in .. Claiming Inheritance: Aboriginal People, Native Title and Cultural .. The term 'native title' became a legally recognised concept, at Australian common law, with the introduction of the Native Title Act 1993 (Cth) ..
by D Yarrow - 1996 - impact of the Native Title Act 1993 (Cth) on the relationship between mining leases and native .. Native title is lost where the observance of traditional law and ..
Aboriginal responses to land and water rights, Native Title and High Court decisions. Sample questions and marking criteria. Aboriginal Art Divider. Go To Top .. Native title is a property right recognised in Australian law and protected by the Racial Discrimination Act and the Native Title Act 1993 (Cth). The recognition of ..
Sparkes, Stephen --- "Australian Native Title Law by Melissa Perry ..
Sparkes, Stephen --- "Australian Native Title Law by Melissa Perry and Stephen Lloyd: Native Title in Australia by Richard Bartlett"  AURELawJl 38; (2004) ..
Clark, Geoff --- "Mediation Under the Native Title Act 1993 (Cth ..
by G CLARKThe Native Title Act 1993 (Cth) was an Act in response to the High Court's decision in Mabo (No 2). The protracted parliamentary debate about the Act and the .. NATIVE TITLE ACT 1993 - SECT 43A Exception to right to negotiate ..
1993 - SECT 43A. Exception to right to negotiate: satisfactory State/Territory provisions. Determination about alternative provisions. (1) If: ..
by G Del Villar - 2004 - - the nature of native title rights, the operation of the Racial Discrimination Act. 1975 (Cth), and the effect on native title of a multitude of tenures. Among these .. NATIVE TITLE ACT 1993 - SECT 52 Bank guarantee required under ..
1993 - SECT 52. Bank guarantee required under right to negotiate procedures. (1) This section applies if a condition to be complied with ..
LA4032:03 Family Law LA4033:03 Advanced Commercial Law LA4034:03 Alternative Dispute Resolution LA4035:03 Native Title Law and .. NATIVE TITLE ACT 1993 - SECT 60AB Fees for services provided ..
1993 - SECT 60AB. Fees for services provided by registered native title bodies corporate in performing certain functions. (1) A registered .. Visiting UQ mediation academic estimates 30 year wait to clear .. Mediation Strategies for Native Title Stakeholders will be offered as part of the Master of Laws program and also as a Continuing Professional .. Explain the following terms (using your legal dictionary): acquisition of sovereignty; prerogative power; fee simple; native title; common law; sovereignty ..
Indigenous Rights to surface and subterranean waters in northern ..
areas of land and water under land rights and native title law. The Northern Australian. Land and Water Taskforce Report in 2009 identified key ..
40+ items – Indigenous Law Resources .. National Native Title Tribunal@ .. Parliamentary Joint Committee on Native Title and the Aboriginal and Torres .. The information is adapted from Indigenous people and the law in .. "affect the rights of any Aboriginal natives .. not recognise native title in a case based .. Mediation under the native title act 1993 (Cth): some structural ..
by G Clark - 2003 - Clark, Geoff (2003) Mediation under the native title act 1993 (Cth): some structural considerations. James Cook University Law Review, 9 (1). ANU - Digital Collections: Valuing native title: Aboriginal, statutory ..
by DE Smith - 2004 - Description: The issue of native title compensation generates deep divisions .. the Aboriginal, statutory, common law and policy discourses. by D Foley - What has native title done to the urban Koori in New South Wales who is also a traditional custodian? Dennis Foley. Native title is a concept in the law of ..
M Stephenson, E Webb, Land Law (3rd edn Butterworths, NSW Australia 2009); M Stephenson, Mabo: The Native Title Legislation (University of Queensland ..
Book review: 'The Native Title Market' > Institute of Advanced ..
Ritter's extensive experience as a 'native title lawyer' (my words, not his) have enabled him to provide the reader with glimpses of how the .. Native Title Student Internship. .. provides assistance to under-resourced and overworked Native Title Representative Body (NTRB) lawyers. The aim of this paper is to examine whether or not native title is a proprietary right. .. title rights and interests in the language of the common law property lawyer. by BR Smith - - But despite the involvement of large numbers of anthropologists in the field of native title practice (alongside lawyers, historians, archaeologists and others ..
Are you interested in native title? .. and provides assistance to under-resourced and over-worked Native Title Representative Body (NTRB) lawyers, through a .. Native Title Stakeholders". Many myths surround the attitudes of Judges and other lawyers to social and legal issues. We are said to revel in ..
Jolleen Hicks > School of Indigenous Studies: The University of ..
My goal is to be one of the best native title lawyers in this country. My message to young people is that education is the key to achieving your dreams. There is .. The Aurora Project: Legal Internship at Native Title Services Victoria ..
assistance to the native title lawyers and also learn about possible career opportunities in the area. NTSV, where I completed my internship, is a government ..
Lawyers and Anthropologists in Native Title Cases Presentation by ..
Lawyers and Anthropologists in Native Title Cases. Presentation by Caroline Edwards. 10 October 2005. District Registrar (Northern Territory). Federal Court of .. In past years the course has run successfully with a mix of legal personnel from NTRBs and native title service providers, government lawyers, private sector ..
. Career Highlights. In 1988 Georgia made the decision in Year 12 to become a lawyer, and went on to achieve A+ in her HSC Legal Studies .. In order to support the professional development needs of lawyers at Native Title Representative Bodies (NTRB), Aurora offers two scholarships as detailed ..
by P Burke - 1928Wooley, the principal legal officer of the Native Title Unit of the Aboriginal .. interaction of the key actors: individual anthropologists, lawyers and judges. The Aurora Project Native Title Internship Program - Winter 2010 .. The staff at the GLSC, whether they were anthropologists, lawyers, ..
1 Native Title (Queensland) State Provisions Amendment NATIVE ..
2 Native Title (Queensland) State Provisions Amendment Achieving the Policy .. Native Title Act. This will allow the Commonwealth Attorney-General to make a .. Becoming a Lawyer .. working as associate to two Judges of the Supreme Court of Victoria, and now practising as a native title lawyer." ..
About the editors > Institute of Advanced Studies: The University of .. Formerly a leading native title lawyer, David is currently Head of Biodiversity Campaigns at Greenpeace UK in London. David's most recent ..
WorldLII - Categories - Countries - Australia - Lawyers & Legal .. Contact information (Department of Justice and Attorney-General, Qld) .. Financial Assistance by the Attorney-General (Cth) in Native Title Cases [Search ] ..
by D Ritter - - Born in Perth, David Ritter was for many years a prominent Indigenous rights lawyer, working principally in the field of native title. He has written numerous .. The native title internship program introduces students to career .. and overworked Native Title Representative Body (NTRB) lawyers. Notes on contributors > Institute of Advanced Studies: The University ..
Nicole Casley > School of Indigenous Studies: The University of .. Working as a native title lawyer was a dream job for me. I got to .. and had amazing experiences that most other lawyers could only dream of. Solicitor, Hunt & Humphry, Project Lawyers. Subjects: Aborigines - land tenure (Other articles) Native Title Act 1993 Australia (Other articles) Petroleum industry ..
D:\Documents and Settings\z9100292\Local Settings\Temporary ..
Professional Development Needs of Native Title Representative Body Lawyers. This report highlighted two critical problems faced by Native Title Representative .. It is aimed at lawyers, policy makers, government agency employees dealing with native title, representative bodies, companies involved in native title claims, .. Native Title Law, Policy & Practice. Monday 16, Tuesday .. essential elements of native title law in Australia .. assisting lawyers, accountants, financial planners .. The Legal Internship Program is designed to introduce students to opportunities in native title and Indigenous affairs, while assisting under-resourced lawyers. Native title lawyer Ronald Bower reveals how some groups still manage to find a way through this jungle. In earlier FMG negotiations, Bower ..
- by S Brennan - - Native title in the High Court of Australia a decade after Mabo .. Ten years on, as influential Indigenous lawyer Noel Pearson recently observed, there was a ..
by F Morphy - - quasi-legalese—terms that have commonly been used by lawyers in native title cases, and which are in the process of definition as legal terms, with very ..
by M HuntSolicitor, Hunt & Humphry, Project Lawyers .. This paper is primarily concerned with the impact of native title but it also includes Aboriginal heritage (particularly .. Pleading and Proof of Indigenous Customary Law in Queensland ..
by ICLAW IN - - matters including native title, criminal law defences, sentencing, succession, family .. Department of Justice and Attorney-General, under the Legal Practitioner .. The Aurora Project was established in 2006 as a result of a report into the professional development needs of lawyers at Native Title .. Towards Native Title Agreements: issues of negotiation or organization .. put to better use than paying lawyers and other experts to fight for native title claimants. Application for leave to be represented by person who is not a lawyer 34.133. Native Title Registrar application to Court for order as to notice ..
by C Choo - other professionally trained people, is being used by lawyers working for the applicants (for native title) and the respondents (opposing native title) to support ..
'The Native Title Market by David Ritter, 120 pp, University of ..
Ritter is an experienced native title lawyer with more than a decade as a negotiator, advocate and researcher. This book reflects his experience through ..
Lavarch QC, Michael --- "Bryan Keon-Cohen (ed), Native Title in the ..
in the New Millennium Native Title Representative Bodies Legal .. of the blue, the invention of lawyers which shook the principles upon which the .. The Native Title Era: Emerging Issues for Research, Policy and ..
by C Director - 2009 Papers from a session on 'The Anthropology of Native Title Claims: .. the relationship between lawyers and anthropologists; native title ..
employees participate in plans and on use of such plans in other ..
organized workshops on taxation of native title involving a range of participants, including native title lawyers, Treasury and federal legal officials and members ..
After leaving private practice, Kate practised for two years in a native title .. Kate Galloway 'Practising in Native Title: The Lawyer as God, But ..
'﻿﻿﻿8. Apocalypse Yulara? The emergence of a judicial discourse of ..
by P Burke - 2011The 1998 amendments to the Native Title Act, among other things, .. among the applicants' lawyers for its apparent lack of appreciation of applied anthropology. by JB QC - 2], courts and lawyers still struggle to define the content of native title. There are political and strategic reasons which partly explain the lack of progress, but the .. Attended Beaconhills College from 1996 to 1997 (Years 11-12). georgiaD. Georgia Denisenko. Native Title Lawyer. Class of 1987. glen-hosking · Glen Hosking ..
E Law: A POSTSTRUCTURALIST CONSIDERATION OF ..
by A Howe - - Aboriginal lawyers argue that Aboriginal groups had their own land law prior to the white .. Moreover, none of them accorded native title rights the status of rights ..
Public interest and native title law specialist Mr Peter Seidel is one of a growing band of lawyers keen to defend the legal rights of some of the ..
by M Rimmer - - relationship between native title rights and cultural knowledge. The .. 1 International lawyers have considered the interpretation of the Rio Convention on ..
Barristers' Clerk in Canberra and Wollongong; in the National Security Litigation and Native Title areas of the Commonwealth Attorney-General's Department; ..
Carter, Anne --- "The Definition and Discovery of Facts in Native Title ..
by A Carter - The book takes a broad approach, charting the interactions between historians and lawyers in a variety of legal settings, including native title disputes. The book ..
Ian is the lawyer member of Victoria's Medical Practitioners Board and .. Louise is the Native Title Registrar with the Federal Court of Australia, ..
Master class in Native Title for Anthropologists. So you want to work in Native Title? 14th -22nd .. Katie O'Rourke is a lawyer working in Native Title. She has ..
by M Hunt Solicitor, Hunt & Humphry, Project Lawyers. Subjects: Native title -- Australia (Other articles). Issue: Volume 5, Number 1 (March 1998) .. SO, WHAT'S NEW? NATIVE TITLE REPRESENTATIVE BODIES ..
by D Ritter - - short period of time, with native title claim groups left almost as disillusioned spectators as lawyers did what they had to do to preserve their clients' rights.17 ..
Deakin University, is one of Australia's leading property lawyers, with particular expertise in native title law, equity and trusts. Molly O'Brien, a US lawyer currently ..
Rio Tinto offers two scholarships to lawyers currently working or interested in working at Native Title Representative Bodies (NTRBs) or Native ..
Student placements in native title representative bodies .. to improve the quality of professional support for lawyers in native title representative bodies (NTRBs). UWA Publishing | University News : University News : The University .. Author David Ritter worked as a Native Title lawyer for over 14 years, in the Native Title Tribunal, land councils and as a commentator and analyst. CLARRIE SMITHAND ORS V WESTERNAUSTRALIA AND ORS ..
by C Humphry - contribution that honourable lawyers can make." An important objective of the Native Title Act .1993 (Cth) ("the Act") is to promote the settlement of native title .. It is suitable not only for lawyers but also for policy makers, government agency employees, negotiators and mediators involved in native title." ..
FEDERAL COURT AMENDMENT RULES 2010 (NO. 2) (SLI NO 338 ..
heading substitute 9 Liability of lawyer  Order 62, paragraph 9 (4) (a) omit legal .. (1) of the Native Title Act by a person conducting a mediation (a mediator); .. Courting the Blues: Attitudes towards Depression in Australian Law Students and Lawyers is available online. More.. Native Title Mediation ..
Master class in Native Title for Anthropologists So you want to work ..
based training for native Title work, with a particular focus on northern Australia. Topics .. Owners, lawyers and anthropologists from rep bodies and the NTT. by M Burns - 2012Member Indigenous Lawyers Association of Queensland .. native title; representations of Indigenous Australians and law; Indigenous women's issues .. Professor Anne Twomey - Sydney Law School - The University of ..
of Western Australia and the Australian Association of Constitutional Law, Perth, .. 'Native Title in NSW', Australian Financial Review Native Title Conference, ..
by R Williamsof respondents as important qualities. Issues impacting on native title mediation processes. • 55 per cent of respondents saw lawyers taking highly adversarial ..
resourced and over-worked Native Title Representative Body (NTRB) lawyers. Applications are open to law students who have completed, or are currently ..
'Native Title Representative Body Lawyer Professional Development Project - Final Report' (with Potok) (2005) Castan Centre for Human ..
by JL Hancock - 2003 - insufficient to pay the bill if all native title claims were litigating in the courts.24. While this prospect may make lawyers' hearts beat faster, it is something most .. Most staff practised, or had practised, as lawyers, so knew what the legal .. I currently work in native title, as a Legal Officer for Cape York Land ..
by I Govey - 2001alternative dispute resolution, role of the Commonwealth, Attorney-General's .. Attorney-General's Department to support participants in the native title process. Charities for the advancement of Indigenous 'families' | UTS News ..
.. at the National Native Title Conference concerning the application of the .. Prior to working as an academic, Fiona worked as a lawyer for the ..
UWA Publishing Shortlisted for Human Rights Award - UWA .. Author David Ritter worked as a Native Title lawyer for over 14 years, in the Native Title Tribunal, land councils and as a commentator and .. Native Title Findings > Institute of Advanced Studies: The University ..
Noongar Native Title Finding Brings New Hope .. Just idle speculation, of course, but no lawyer likes to have their work described in the kind of ..
A native title court is an arena for the enactment of law—European law. .. Once the lawyers had written up the statements in English, it would simply be a matter ..